After another trip to the bosom of nature it's time to go home, where, after bathing begins time of the great washing. The entire apartment doesn't smell like a campfire and ants will not have built her nest, you need to approach cleaning and washing of all things, starting with the socks and ending with the sleeping bag. In its composition can be one of three types of insulation – synthetic fibers, fluff or non-woven wool. So how to wash a sleeping bag, and you can do it at all? 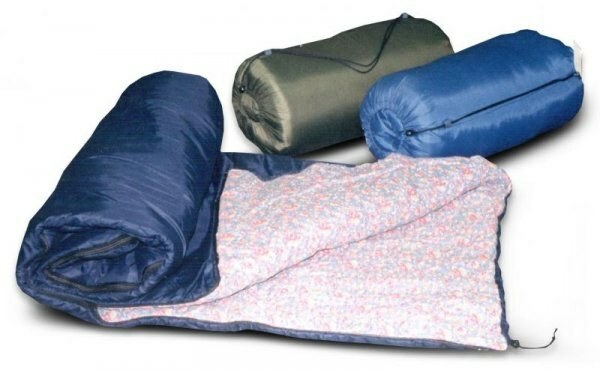 If your sleeping bag consists of natural down, it is not designed for frequent washings. In fact, experienced travelers do not recommend to wash the sleeping bagsconsisting of down filler, because over time, fluff from excessive moisture collected in clumps. Accordingly, after washing disturbed the uniformity of the warm layer, and to fulfill their duty sleeping bag. You can find English products for cleaning such things, it will allow you to get rid of smell and dirt, and will also help to keep down the filler intact. With a quilted sleeping bagom fared much better, they can be washed, but it's better manually. For this you need to turn the sleeping bag inside out and put it in a tub or large bowl with warm water in which you need to pre-dissolve liquid soap or a special detergent for washing the sleeping bagov. It needs to be in this part not more than 30 minutes. You can age the hands, but not everyone can do it. So much easier to get into the bath with the feet and to trample on the sleeping bag. Really heavy dirt and stains still have to wash hands. Drain the dirty water and then enter the new one, repeat until, until the water stays completely clean of soap and debris. Also sleeping bag of batting can be machine washable, but it could soon deteriorate. Remove the sleeping bag closed, and then load it in the machine, add liquid Laundry detergent and run the delicate cycle. The water temperature should not exceed 35 degrees. Also recommended to put an extra rinse. It is advisable not to use the feature extraction, it can damage the filler and the fabric. After washing, let fully drain, this sleeping bag should be in a horizontal position. Dry it in a well ventilated place, away from direct sunlight. Do not use for drying a sleeping bagand radiators or other heating devices, it can damage its structure.